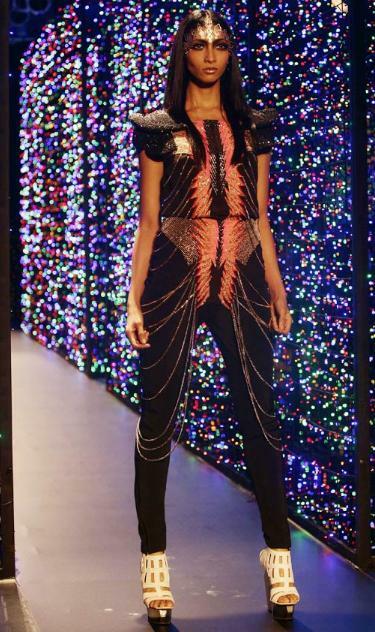 Gorgeous colours on the runway today with heavy hitters Manish Arora and Anju Modi. 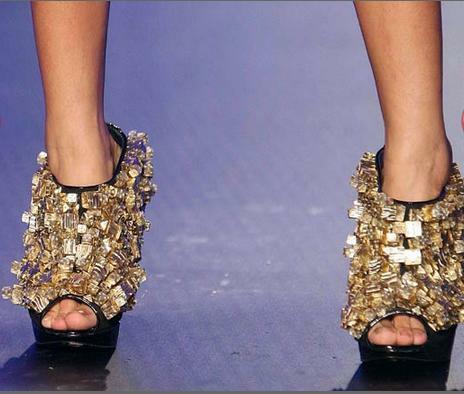 Bollywood and Hollywood designer Manish Arora's (best known for designs worn by Lady Gaga and Katy Perry) show consists of popular outfits that he has created since 2008; fun show with accessories galore. 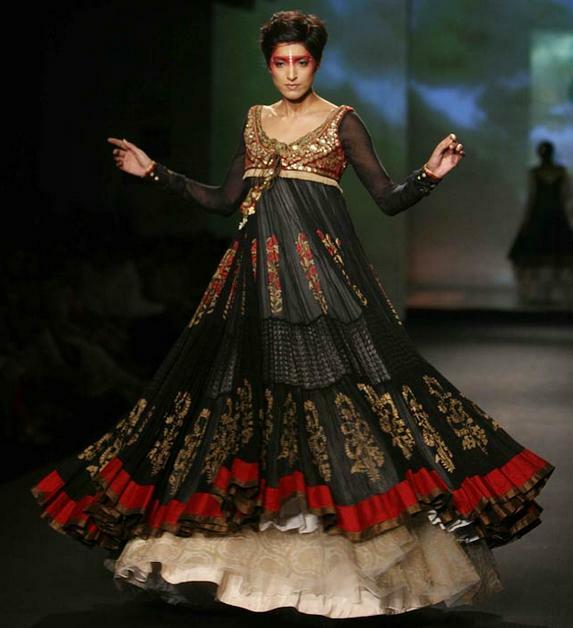 Anju Modi's collection consists of traditional Indian wear with the use of muted colours. This is a great collection, loving the sheer sleeves on the blouses and the silks used in the outfits. 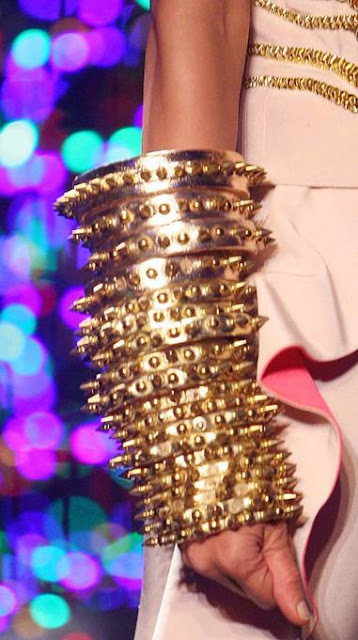 quite edgy.. u cant expect any less from Arora!! 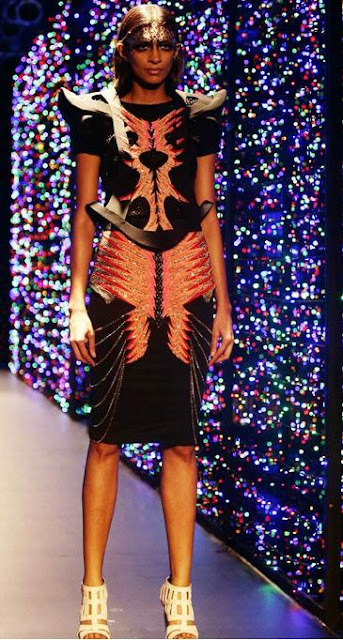 oh, that first dress by anju modi is gorgeous! thanks for sharing!